Based on San Marcos blankets popular within the Latinx community. These Blankets were sigils for warmth and protection. Imagery was typically of puppies, Lions, Jaguars, and religious iconography. 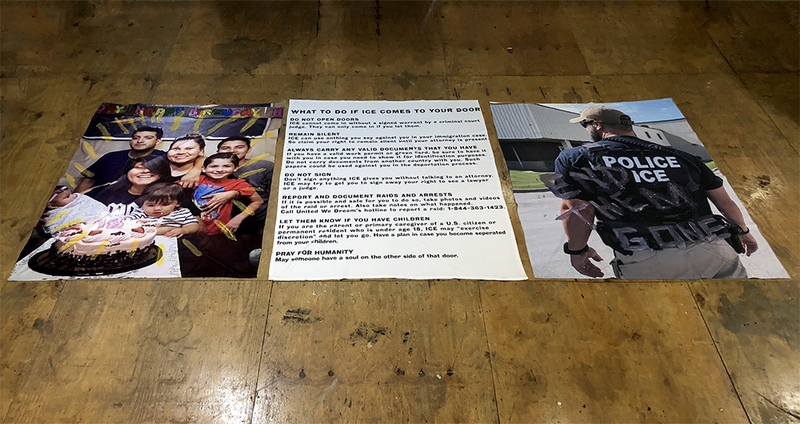 This triptych work was created as a protective sigil for other Latinx families seeking protection from ICE, and other institutions seeking to destroy families.